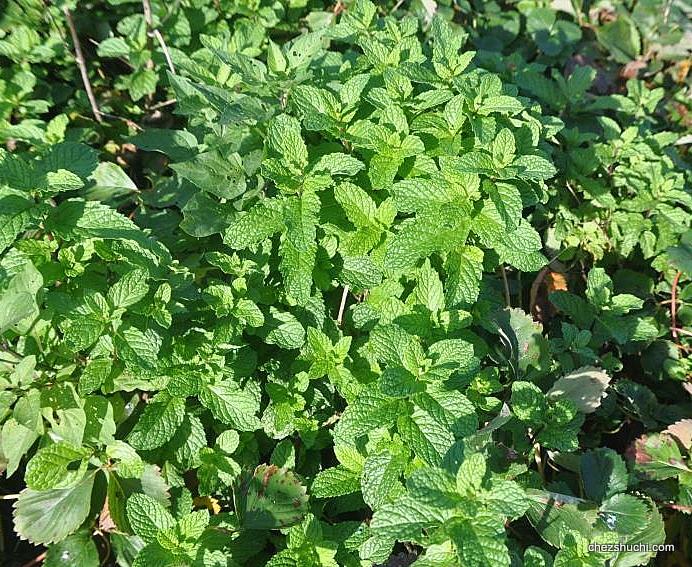 Mint is an exotic, excellent aromatic herb; it contains Vitamin A and C and is also rich in a number of minerals. Mint leaves are a good coolant and are known for their medicinal values. They are also considered as a good digestive. Mint has an important place in Indian cuisine. Mint is an exclusive perennial herb which means that it comes back year after year. It can be easily grown in a pot or in ground. Remove the thick stem and wash the mint leaves thoroughly. Leave the mint leaves on the sieve to drain the water. Wipe the extra water from the mint leaves with a clean cloth. On a clean cloth or on a kitchen paper spread the leaves to dry up. Keep it in partial shade or inside the house. The drying time depends on the quantity of the mint leaves. For 1 bouquet of mint leaves, it takes about a day to dry. If the amount is more it will take longer to dry the leaves. Avoid drying mint leves under the sun. When leaves are completely dried, grind them in the spice grinder to make smooth mint powder. In case if you do not have spice grinder, crush the leaves thoroughly with the fingers. Mint powder is ready. Store mint powder in an airtight container. One can store mint powder for months. Mint powder is a key ingredient for Raita and other yogurt preparations. Mint mystery drink is a wonderful summer coolant and also a good digestive. Cucumber is an excellent coolant and has more than 90 % water. This delicious drink made with lime, mint and cucumber is just one of the best coolants. So try it out.